The growing number of technical systems in the operating room has increased attention on developing touchless interaction methods for sterile conditions. However, touchless interaction paradigms lack the tactile feedback found in common input devices such as mice and keyboards. 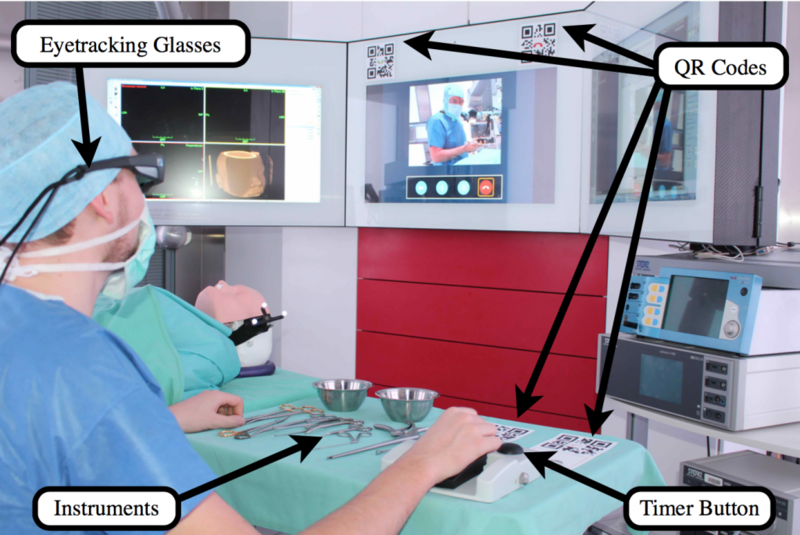 We propose a novel touchless eye- tracking interaction system with auditory display as a feedback method for completing typical operating room tasks. Auditory display provides feedback concerning the selected input into the eye-tracking system as well as a confirmation of the system response. An eye-tracking system with a novel auditory display using both earcons and parameter-mapping sonification was developed to allow touchless interaction for 6 typical scrub nurse tasks. An evaluation with novice participants compared auditory display with visual display with respect to reaction time and a series of subjective measures. When using auditory display to substitute for the lost tactile feedback during eye-tracking interaction, participants exhibit reduced reaction time compared to using visual-only display. In addition, the auditory feedback led to lower subjective workload and higher usefulness and system acceptance ratings. Conclusion Due to the absence of tactile feedback for eye-tracking and other touchless interaction methods, auditory display is shown to be a useful and necessary addition to new interaction concepts for the sterile operating room, reducing reaction times while improving subjective measures, including usefulness, user satisfaction, and cognitive workload.